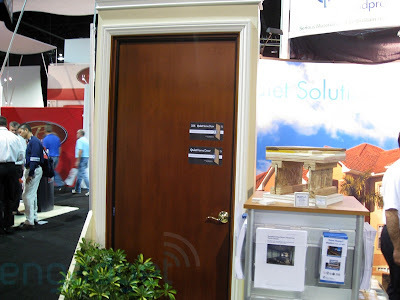 Serious Materials today announced its new line of QuietHome soundproof doors. These new products provide market-leading noise reduction in an attractive, stainable wood, pre-hung door package, and are perfect for high-end home theaters, commercial studios, offices and conference rooms. Unlike most metal acoustic doors, these look like they belong in a high-end home. 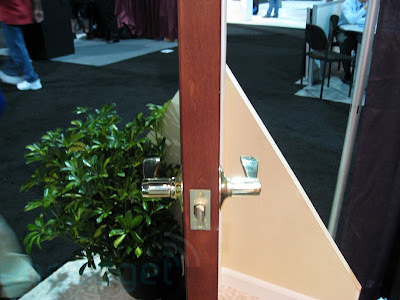 The entry-level QuietHome Door features a very high STC rating of 44 and is only 1î thick. The THX-Certified QuietHome Door provides an STC rating of 51 in a 2ºî thick door, and is the only acoustic door in the world to meet the demanding standards required for THX certification*. Typical hollow-core doors have an STC rating of only 15 and solid-core doors about 27. The high performance of QuietHome Doors reduce noise 65-85% compared to a solid core door. For the ultimate in performance in high-end home theaters, two QuietHome Doors may be used back to back, separated by a three-foot air gap, for a total STC rating of over 80. The suggested price of QuietHome Doors ranges from $1,495 to $2,495, or up to 50% lower than other acoustic doors. QuietHome Doors are available for ordering now through building products dealers and lumberyards nationwide, and online at QuietSolution. Initial products will ship to customers in Q4. At THX, we believe great sound and picture is achieved through the right mix of audio-video components, room design, sound isolation and acoustic performance,î said John Dahl, director of education at THX. For maximum enjoyment of your favorite movies and music, you have to keep the noise out and the sound in. THX-Certified QuietHome Doors along with THX-Certified QuietRock help deliver that great listening experience. Leveraging more than 25 years of cinema and professional studio design expertise, THX partnered with Serious Materials to develop a portfolio of acoustic materials for the professional building community. The THX Certified QuietHome Door and QuietRock soundproof drywall provide designers and architects a means to meet the sound isolation demands of commercial cinemas, recording studios and home theaters. Serious Materials' advanced-technology Quiet-brand products are recognized as the leader in noise reduction for construction projects, and have been used in over 35,000 projects. Its QuietRock soundproof drywall delivers noise reduction at the lowest total cost, has over 90% market share in the category, and includes the only THX-Certified soundproof drywall, QuietRock 545 THX, with STC ratings up to 80. The new QuietHome Doors incorporate Serious' proprietary viscoelastic polymer-based constrained layer damped system, a multi-layer design and advanced seals throughout the door edge.